Murad Retinol Youth Renewal Serum, Perfecting the Science of Retinol ! "Retinol is well-known as the gold standard anti-aging ingredients; that's why my patients ask for it frequently," said Dr. Howard Murad, founder of Murad. The new Murad Retinol Youth Renewal Serum's formula features a combination of 3 retinol technologies to deliver quick and visible results without any irritation. The Retinol Tri-Active Technology works in 3 ways - Fast-Acting Retinoid, Time-Released Retinol & Retinol Booster. Does it work for my combination skin (oily T-zone and normal) ? I've always had combination skin, which makes trying out new skincare products a little tricky at times. And this is one of those times....! Had been incorporating a pea size amount of this into my evening skincare routine, just right before my moisturizer. 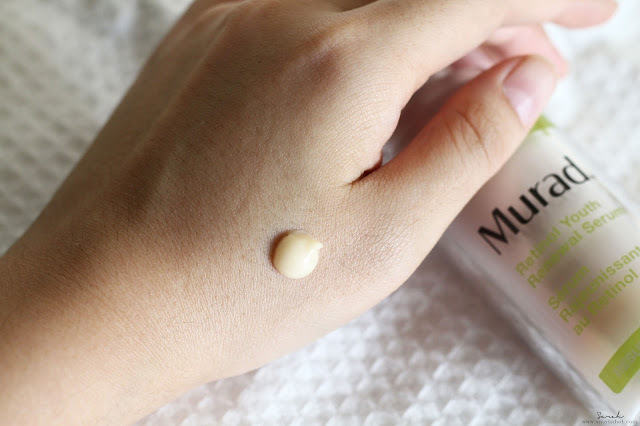 After a few days of using it (exactly 3 days), I started to notice my cheek getting very sensitive as in a tingly sensation every time I applied the product on and Also I started having breakouts which kept getting worse. By day 7 I decided to listen to my skin instead and stop using it. 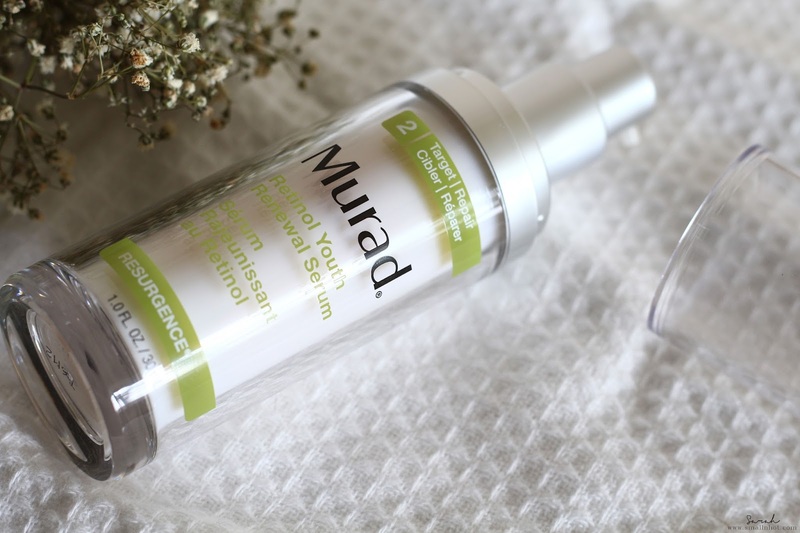 Overall, this Murad Retinol Youth Renewal Serum might not work on my skin but your skin might say otherwise, as 93% of the users have shown a positive result with the serum. At the end of the day, just listen to your skin and you'll know whether it works for you or not.